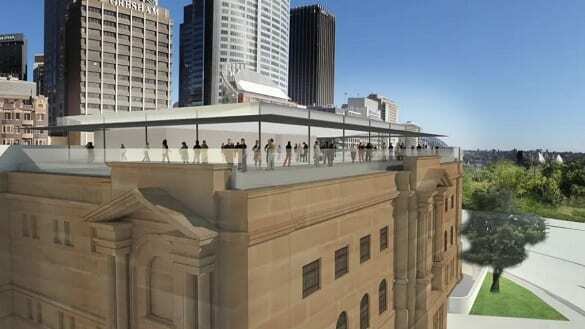 Plans for a rooftop restaurant and function centre on the NSW State Library in Sydney have angered heritage experts who claim the building would be “degraded by crass commercialisation”. The NSW government is looking at a proposal for a $30 million restaurant and function room on top of the country’s oldest public library on Macquarie Street. However, there are fears it will shade the Mitchell library reading room, which has a glass ceiling. The plans follow a new panel appointed last year, consisting of former prime minister Paul Keating and former lord mayor Lucy Turnbull, tasked with breathing new life into the Macquarie Street East precinct, which includes Hyde Park Barracks, the State Library, Sydney Hospital and NSW Parliament. The proposed restaurant is “one of the projects being considered as part of the NSW government’s plans to revitalise Macquarie Street”. Speaking to The Sydney Morning Herald, heritage and museum expert Kylie Winkworth said that there is a danger the heritage area would be subjected to “crass commercialisation”. “We shouldn’t degrade major public buildings with intrusive commercial developments,” Winkworth said. “We need to treasure and protect all culturally significant buildings and we shouldn’t be enhancing revenue through restaurants and catering. Andrew Andersons, a former assistant NSW government architect, also warned that the government was “unbelievably short-sighted” when it came to retaining significant public buildings. “The history of our society is defined by our public buildings and the library is a fine classical building that was never designed to have something on the top,” Andersons told The Sydney Morning Herald. Don Harwin, a spokesman for the Arts Minister, said the proposal was still in its very early stages “and any progression would require consultation with all stakeholders”.